Mark your calendars! 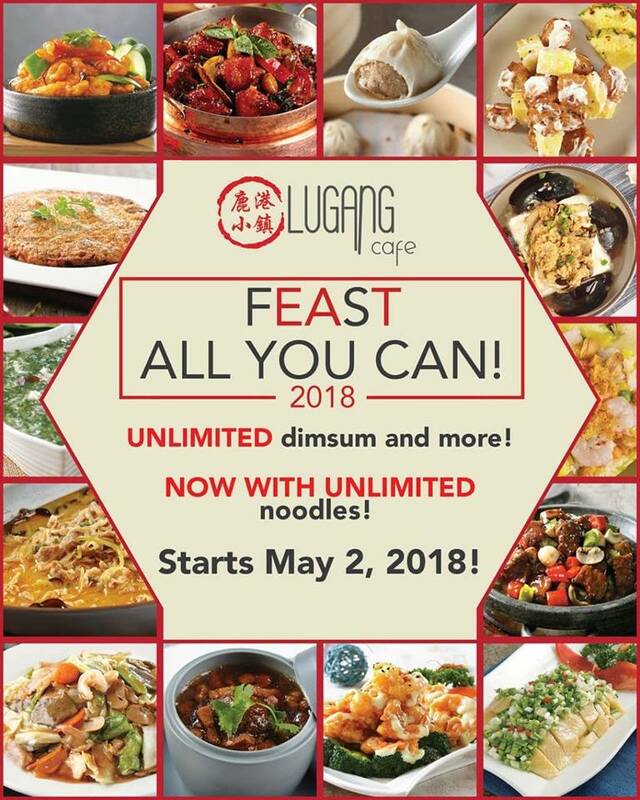 Lugang Cafe’s Feast All You Can is BACK with NEW unlimited dishes & new offerings! 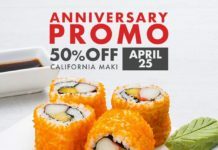 Beginning May 2-June 2, you can enjoy unlimited dimsum, noodles, appetizers & more for only P598!! Only at #LugangCafeManila See you!!! 3. 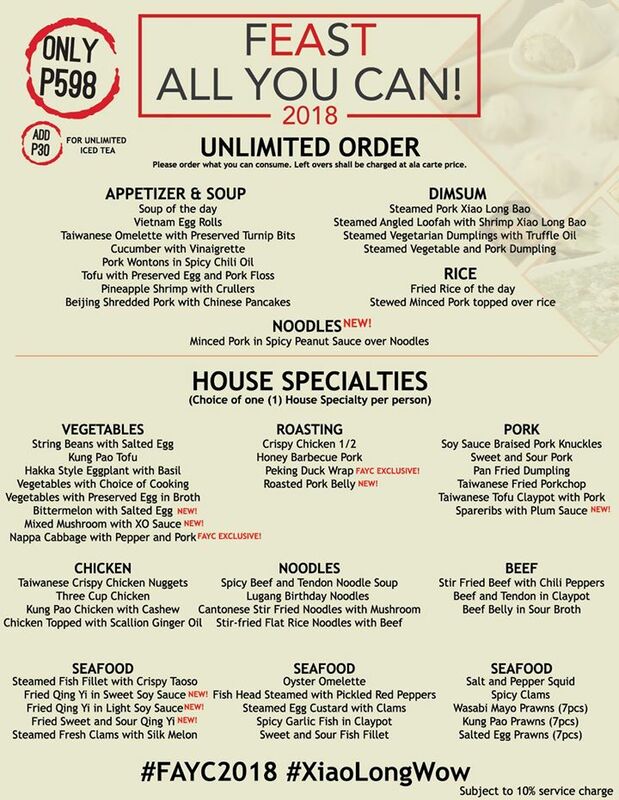 Unlimited serving from our Dimsum, Appetizer and Soup, Rice, and Noodles selection. 4. A choice of ONE(1) dish from the House Specialties per person only. 5. Strictly no left overs or takeout (left over food will be charged based on regular ala carte menu prices). 6. Customer is entitled to 1 scoop of our hand-crafted ice cream. 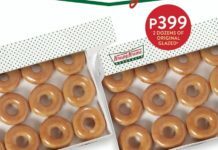 Customer may add P30 for unlimited Iced Tea. 7. All table members are to have unison order. Either entire table is to order ala carte or all are to avail of Feast All You Can. Combination order is not allowed. 8. Feast All You Can is available from Monday-Saturday only. 9. Toddlers 110cm below are free of charge. Children 110-120cm are half the price. 11. 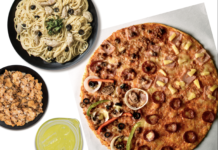 Feast All You Can cannot be combined with any other promo or discount. 12. Not applicable during holidays. 13. Promo is subject to 10% service charge.